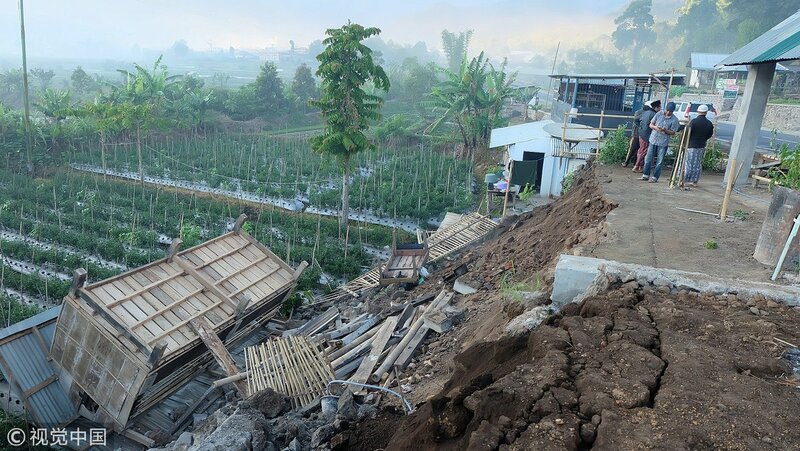 A 6.4-magnitude earthquake rocked Lombok and Sumbawa islands on Sunday at 6:47 a.m. local time, killing at least 10, including a Malaysian. The Meteorology, Climatology and Geophysics Agency (BMKG) reported that as of 10:20 a.m. local time, the islands had experienced 66 aftershocks. “We did not detect any potential for a tsunami but the earthquake lasted quite a while in all regencies and municipalities in West Nusa Tenggara province, spreading panic among the people,” BMKG Mataram head Agus Riyanto said Sunday. Agus said the earthquake was also felt in neighboring Bali. The earthquake was a result of the Flores back arc thrust, he went on. The agency said in a press statement that as of 10:45 a.m. local time, 10 people had died, while 40 were injured. Dozens of buildings have been damaged. In East Lombok, the agency recorded eight fatalities, 10 severely injured and 10 having sustained minor injuries. The eight included Isma Wida, 30, a Malaysian. North Lombok recorded two deaths and 13 injured.